DIREKT FRÅN ZAMBIA Plan in Zambia has constructed a Rural Health Center in Kanakantapa community which is yet to be commissioned. 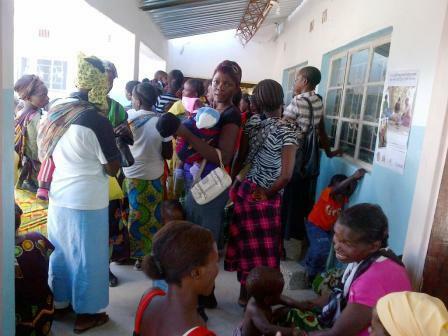 The people of Kanakantapa have been travelling over 20km to go to Chipembi the nearest Clinic. This scenario will soon be over once the clinic has been commissioned. 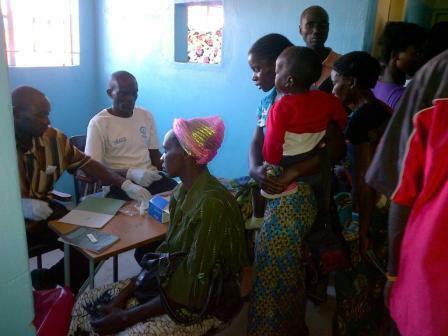 On this particular day the Health staff from Chipembi conducted a mobile Clinic at Kanakantapa Rural Health Center and a lot of people came to seek health services being offered by the health staff from Chipembi. The health services being offered included Under Five Clinic, Antenatal services, and family Planning services, Screening for Malaria and other ailments. The trained volunteers under the project were at hand to give help to the health staff who could not handle the numbers that came for the services. The Volunteers included the Safe motherhood Action Group (SMAGs) members, Community Health Workers (CHW) and Peer Educators. The volunteers gave the health talks to the clients and helped in conducting the Under Five Clinic growth monitoring and taking bookings from the clients. The initiative is part of the Swedish Postcode Lottery project.